It’s that time of year when our minds start to think about Easter and imagine all the fun Easter crafts we can do with our little ones. I’m sure you’ll enjoy browsing through this post, which is bursting with Easter ideas for kids! 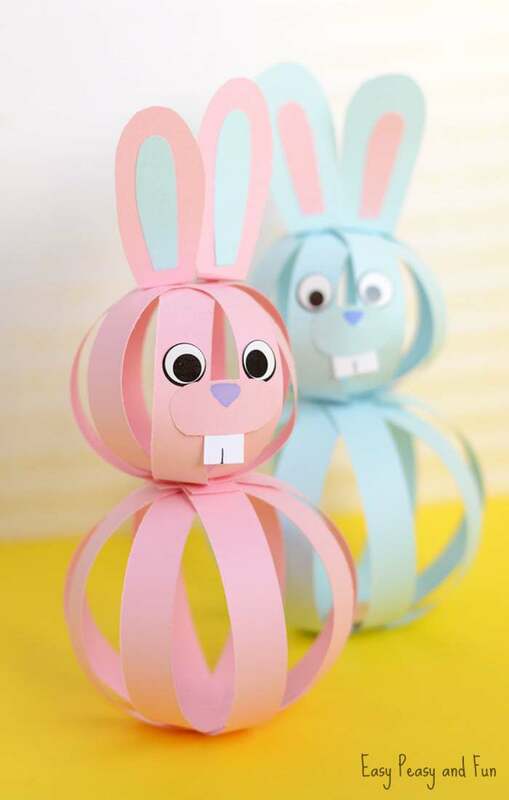 We’ve got loads of fun Easter Bunny craft ideas with everything from cute bunny behinds to adorable paper plate rabbit crafts to 3D bunny crafts and more. Scroll on down and take a look, because there really is a cute bunny craft that is perfect just for you! This adorable bunny is fun to make, plus it functions as a bobblehead! It’s also not too difficult to make. 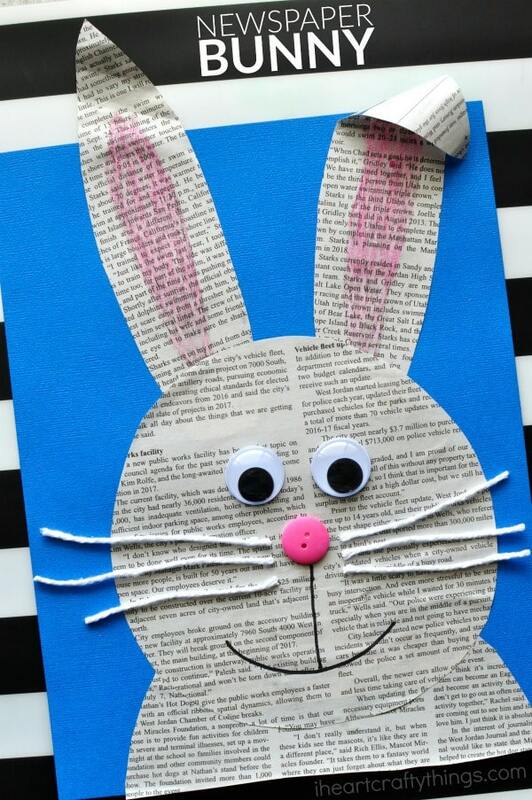 If you have old newspapers laying around, create a bunny out of it! 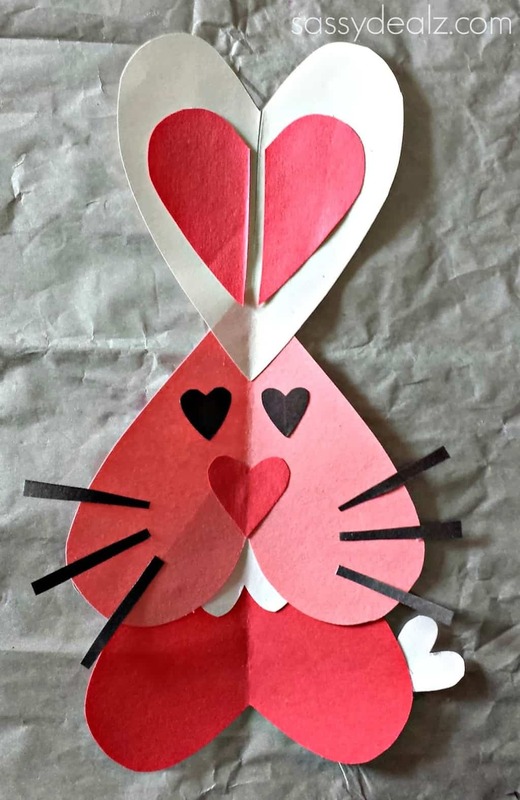 Make this bunny with multicolored layers of construction paper that are all heart shaped! This bunny is definitely full of love. 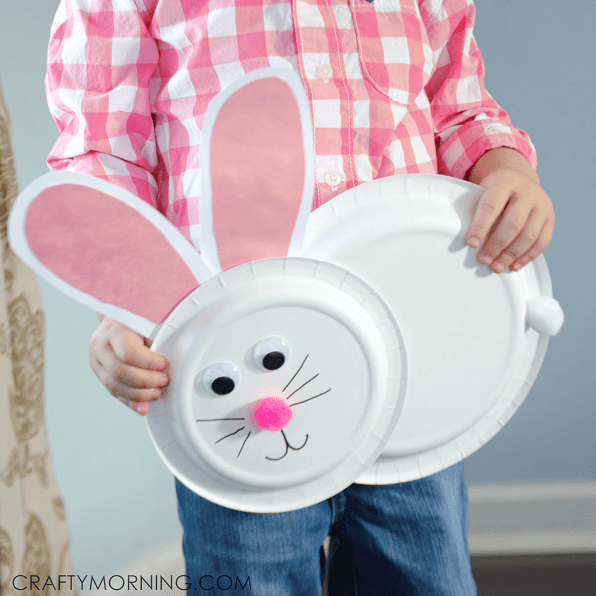 With half a paper plate, create this bunny ready for spring! 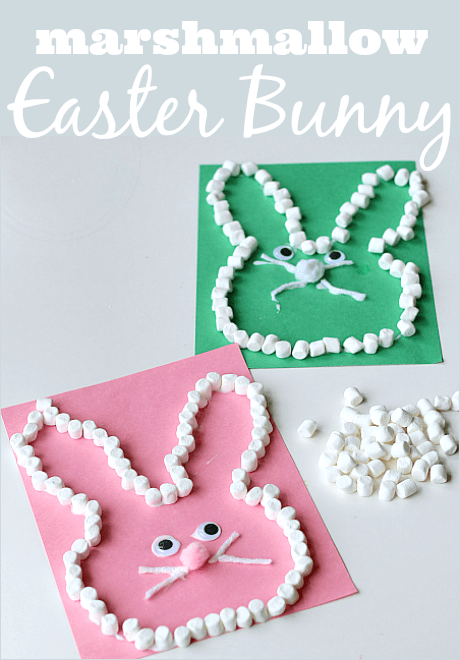 Grab the marshmallows and create an outline for this delicious white and fluffy bunny craft. Pre-draw the bunny for younger crafters, making this craft adjustable for a variety of age ranges. 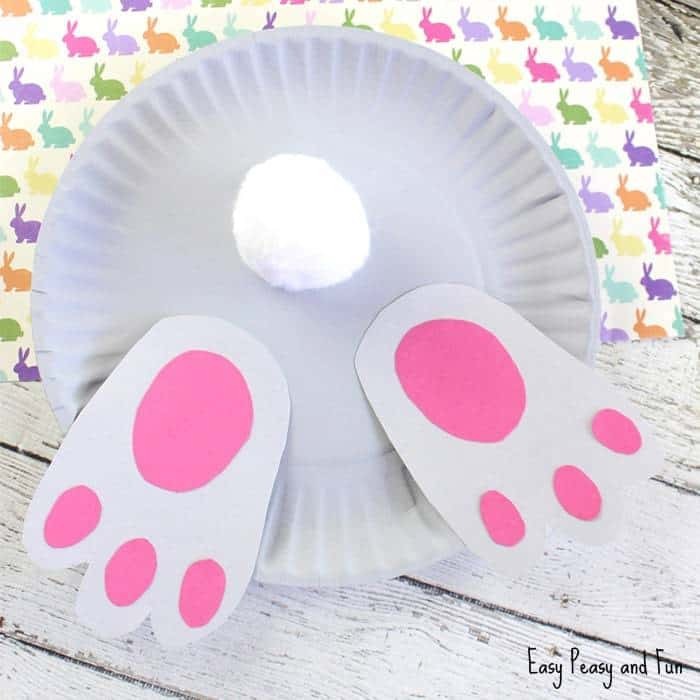 This rabbit is hopping away in this adorable bunny paper plate activity. It’s low cost and easy to make! 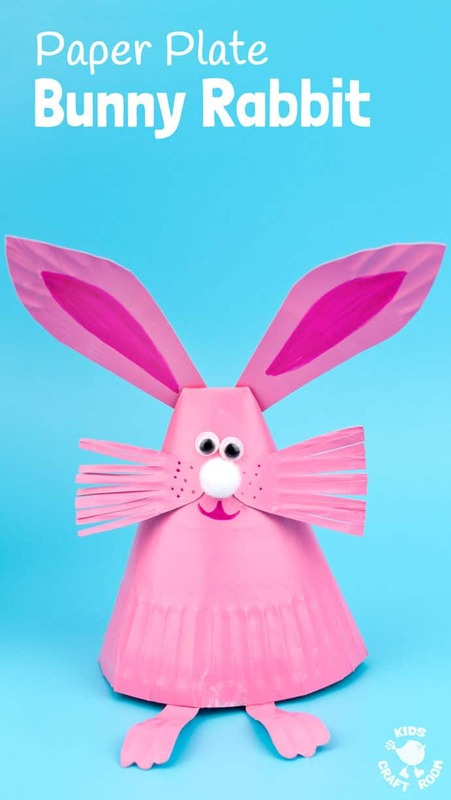 Create a bunny out of a paper plate in this simple craft. Since the pieces are bigger, this craft is great for practicing fine motor skills and a variety of ages. 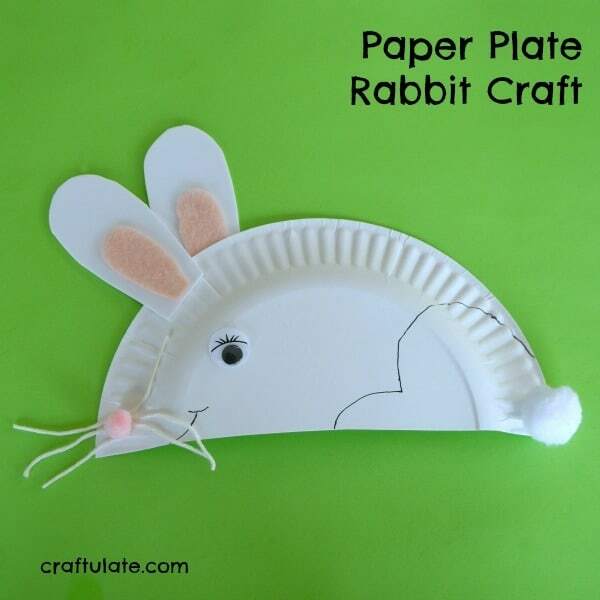 Make this creative bunny out of a paper plate. You can make them in traditional bunny colors, or get creative. 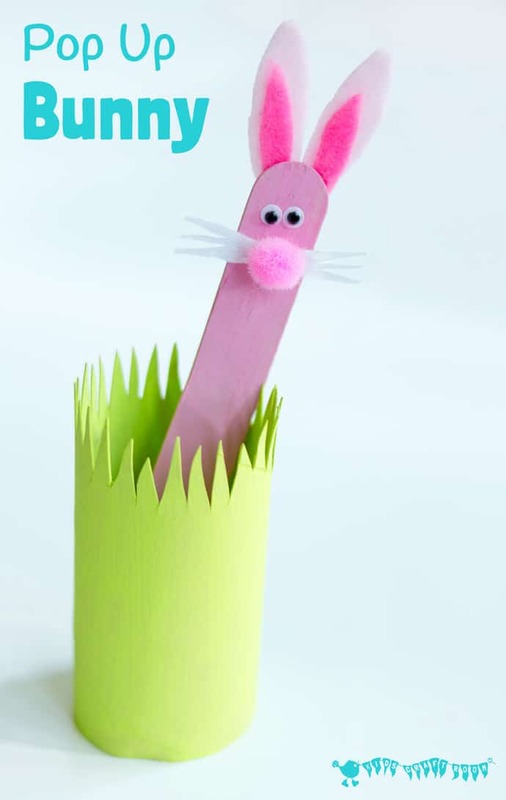 Create a rabbit with a popsicle stick. With a grass ring around it, this little bunny “pops up” for extra fun! 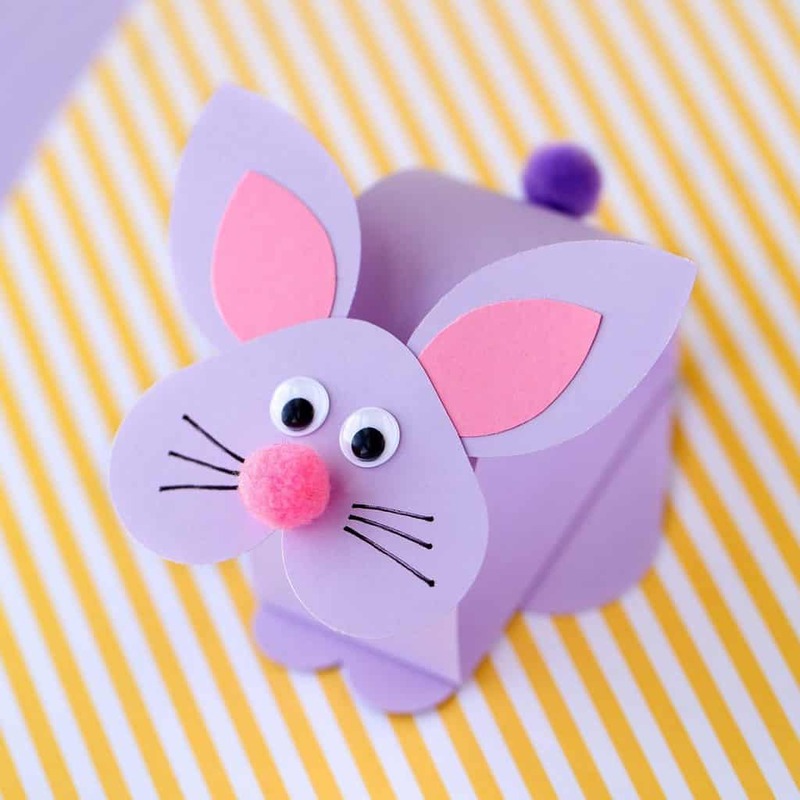 Create a 3D bunny out of construction paper with this craft.